Against all the odds, the Mali Elephant Project is still at work, enhancing stability for humans and protection for elephants, despite lawlessness, jihadists, conflict and community strife. The seriousness of the current situation in Mali cannot be underestimated. Nevertheless, in an area the size of Switzerland (40,000 km2), suffering from poverty and environmental degradation, WILD’s answer to elephant conservation is working because it actively unites the support and co-operation of the local population with government enforcement. Separately, neither of these groups could manage the situation alone, but with WILD’s facilitation of partnerships and training, the people of Mali are coming together around the common vision of saving their herds. This iconic elephant population has survived numerous crises, including: poaching in the late 1980s, repeated Tuareg rebellions, droughts and the steady and anarchic encroachment of human populations. When the Mali Elephant Project began in 2003, the main focus was to find ways for humans and elephants to live together peaceably and for mutual benefit. Since 2012 the poaching has begun again, profiting from the ongoing insecurity and the lack of government presence. Until 2014, the local population was able to protect the elephants but as other populations become better protected and the price of ivory keeps on rising, the threat to Mali’s elephants has escalated dramatically. Three times as many elephants have been lost this year as in the previous 3 years combined, while wildlife parts have become the fourth most trafficked commodity behind narcotics, weapons and humans. The elephant range lies adjacent to trans-Saharan trafficking routes, and is itself a corridor between the north of Mali, the rest of the country and Burkina Faso. It also harbours bandits, men who joined the rebels and jihadist groups but cannot return to their communities for fear of being handed over to the authorities, and so conduct illegal activities to survive. Attacks, assassinations and robberies constrain the lives of the local people, preventing the return to normal and perpetuating a sense of fear. 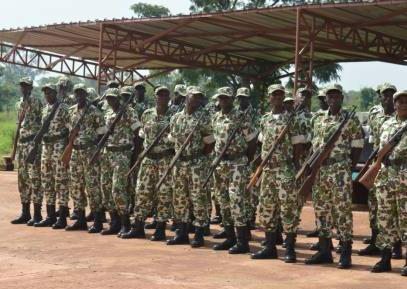 Collaboration with Mali’s government to engage the military in anti-poaching and train, equip and deploy 50 newly recruited rangers to the elephant range. ETA: November 21st. Engagement of UN Peacekeepers to support ranger and military activity. Several community meetings, the most recent in mid-November, convening traditional and elected leaders from all levels of government – local, regional, and national – to create a common perception of the problem and reinforce community solidarity around elephants. Facilitation and field organisation of the Pan-African elephant census in Mali. Support to the establishment of a Parliamentary working group on wildlife protection that comprises a third of the parliamentarians. 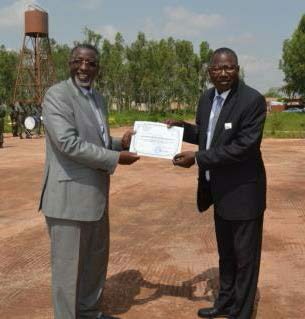 Nomba Ganame, MEP Field Manager (right) and Alhassane Maiga (left), ex-Director of DNEF, showing the certificate received by each. Government officials are reluctant to return while there is insecurity. And the absence of government exacerbates the insecurity. The MEP is working to break the vicious cycle by working with partners and collaborating with the Malian government to deploy 50 newly recruited rangers to the elephant range. These rangers have just finished their training and received special diplomas at a passing out ceremony attended by the Heads of the Armed Forces in Mali. They are due to arrive on the 21st November and will work with the local military to patrol and conduct anti-poaching investigations. It is also engaging other potential partners such as the UN Peacekeepers to support the rangers and military in their activities. This will enable the project to focus its attention on the other side of the solution: building community solidarity to work together, and with government – to better local livelihoods and well-being. The local people understand that anti-poaching and security are intimately entwined; and that the elephants bring them many benefits as explained here and in the box. This week the project is convening two large community meetings at opposite ends of the elephant range for all the community leaders, both elected and traditional, and government agents (administration, technical services, gendarmes, police and army) throughout the elephant range to discuss the issues they are facing, create a common perception, reinforce community solidarity, reinforce resolutions to combat the insecurity. Local people hope to request that the President that the Malian government takes the action required to protect its elephants and its people. The mutually supportive nature of these ideas is illustrated by the graphic below, with elephants as the umbrella concept uniting all. 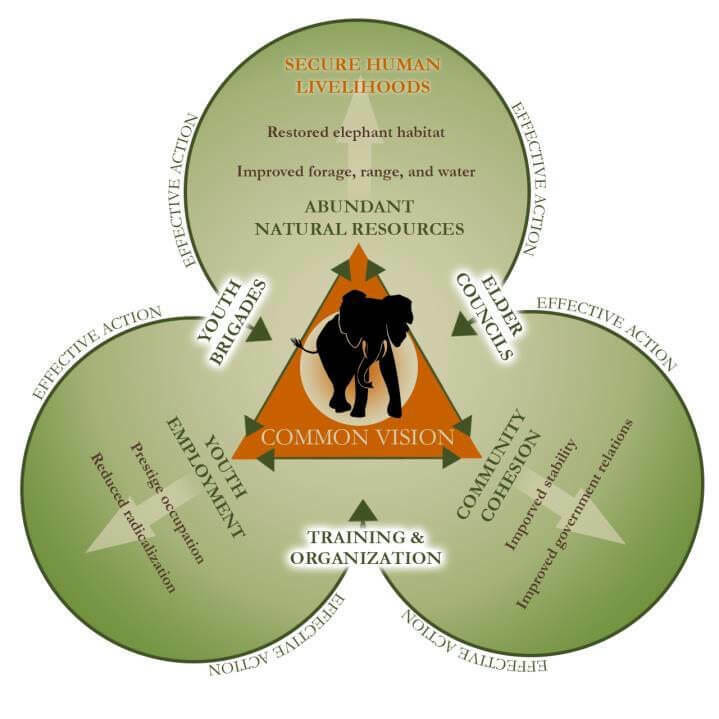 We are sometimes asked why the elephants are needed for our approach as surely sustainable resource management and social reconciliation are good idea in themselves. However the elephants provide a powerful symbol of the interconnected well-being of humans, wildlife, nature and the environment. For the local people, humans, forests, rain, elephants and wildlife are all the same because they are all inter-connected. The elephants form a higher level focus that has a unifying quality. 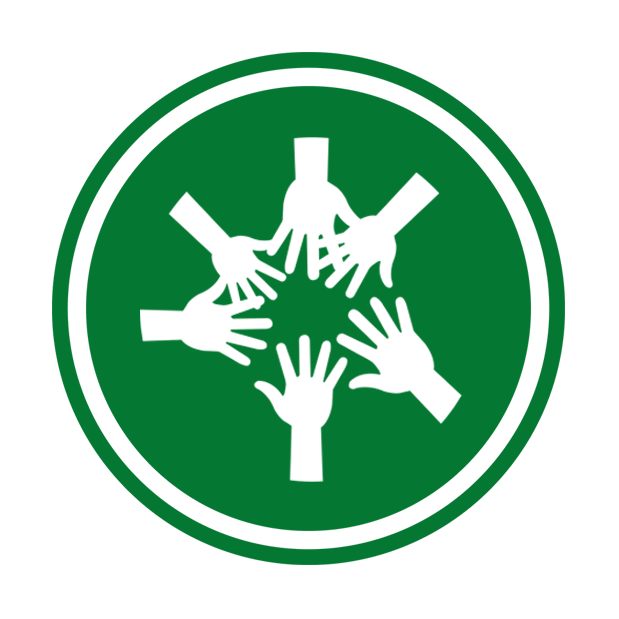 It is an ethic that applies to everyone equally, regardless of clan, social status or power, and is a visible goal. Community-based resource management is a tool to achieve a greater goal rather than an end in itself. 2016 will see the continuing development of the anti-poaching force with more ranger training, equipment and governmental capacity building; coupled with the continuing development community solidarity and improved livelihoods through reconciliation and natural resource management. The wonderful news of the year was that the project will benefit from Global Environment Facility funds from 2017-8, to support both these aspects, however the elephants need to be kept alive until then.